Since the beginning of the summer and for various reasons KSO "Feniks" had no real skirmishes, with the exception of a few games played on this year's tournament in Szeged. 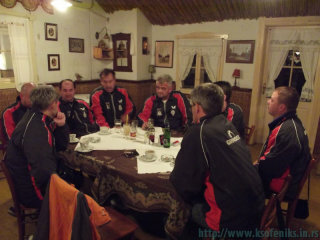 Lack of routine did the job, so team OKI "Derventa", the member of the first division in R.Srpska, almost surprised us. The first set we played very disorganized and mistakes were chalked one after another. Perhaps tiredness from the trip and news in the game strategy, which we have not yet been fully accepted, only disturb further this mess. The result of the first set even was not so bad, considering how we looked on the terain. However, the Feniks would not be the Feniks if we wouldnt try to find the strength and motivation to fight even after a "knock-down". 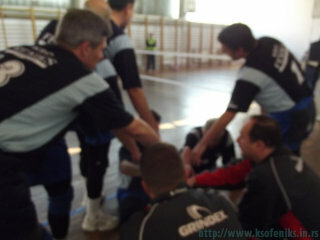 We can say that we fixed our all lines and raise the level of play, so the second set was the same, but in our favour. The continuation of the match was followed by a strong fight in which enjoyed a relatively small number of fans. Immediately after a short break, only to change wet jerseys, we started the second game against a host team that has a reputation of vice-champion in Super League for the 2010/11. of Republic Srpska. The match begins so bad, almost like the previous one. The next set showed much more fight on our side, however, this time on the opposite side was much stronger team, which does not allow easily opponent to swing. After a great struggle in the third set Feniks came out as the winner and indicated fight more vigorously in the fourth,but the experience of OKI "Semberija" prevailed. This is not the end of the match report, as follows old unanswered question "What would happen if ...? ". 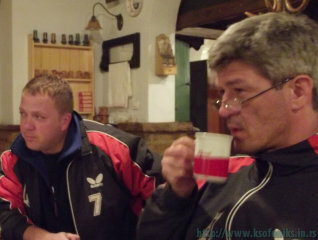 Let me first say that the guys from Bijeljina were better today and we sincerely congratulate them for the win. Full stop. But just because of that we remain with sad and bitter taste about this game because of the terrible referees which made severe damages to Feniks with no doubts. What would be the end result can not be said, but it is certain that the game would looks much, much different. Travelling home, defeated and without placement in the finals, we were enumerating the judicial mistakes and breaking moments where they were made. Although we came to the conclusion that the total point difference (97:72) could be minimized, or even turned on our behalf, only correcting this aspect of the game. To grant this paragraf the importance and credibility I will remind you about the fact that this Feniks team has the four referees in regular volleyball, the two National rank and two regional rank. It's not nice to speak bad about colleagues, but we agreed that this attitude is objective. I am slowly closing this report with the fact we lost the placement to Cup finals but that the Feniks team grown into a strong team that has made significant progress in relation to the Serbian Cup 2010/11. and so, still proudly and with a smile on our faces, we left the place of competition. When we speak about our football players we often calculate the theoretical needs for a further placement. For Feniks placement in to the final there was needed Derventa's victory vs Semberija of 3:1 in the third game and the best points difference, but it does not happen naturally. Nor can reasonably be expected... 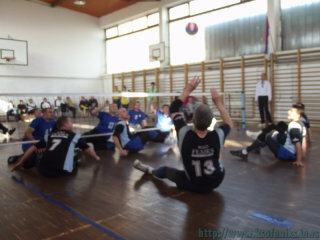 Although, unexpected happened, as though Derventa beat Semberija by 3:2 in sets.